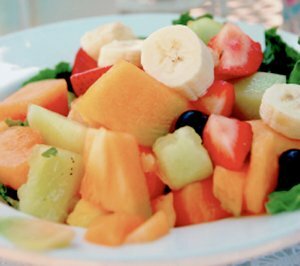 It is vital for a baby to have an assorted diet once he can eat solid food. At an early age, the baby will learn how to eat food with different textures and flavors as well as gain the essential nutrients that are crucial for the his growth and development. 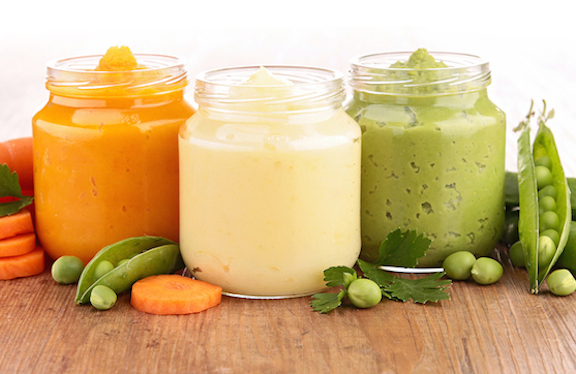 Pureed food is ideal for your baby’s digestion. It is important that your baby has fruits and vegetables. Ripe bananas, avocados, and papayas are some fruits you can start with. Pureed cooked pears, apples, potatoes, sweet potatoes, pumpkins, and carrots are also good choices. Green vegetables like peas, zucchini, green beans, and cauliflowers are rich in vital nutrients. The simple tastes are enough so you need not add spices or seasonings. By the time the baby reaches six months, it starts to eat three meals a day. It is also the time you can feed your baby different kinds of food for as long as its texture is smooth and silky. The important minerals that a baby needs at this age are calcium and iron. For breakfast, cereals with low salt and sugar are fine. It is okay to serve baby cereal as well as kids’ cereal and instant oats. Just serve it with milk. Lunch and dinner should contain 25g of meat or protein. Minced or pureed meat is an excellent way to start. Add chopped vegetables to complete its requirement of certain nutrients. A good substitute for red meat is red lentils. Be sure that the skin of the potatoes and sweet potatoes are peeled to make it easier for the baby to chew and digest them. By this time, the baby’s food can just be mashed or semi-pureed since the tongue and muscles in its mouth are stronger. Cereals with low sugar and salt as well as cooked semi-pureed food are still ideal meals for breakfast. Once your baby turns eight months, you may prepare buttered whole meal toast. For lunch and dinner, you can feed your baby mashed instead of pureed vegetables. Grains like rice, quinoa, and couscous are a good addition to the meal. To add more texture, minced meat may be added as well as grated fruits like pears and apples. Dessert may be yogurt, custard, cooked fruit, or rice pudding. You can feed your baby finger food by now. Chopped foods with lots of color are a good way to make it look attractive. By now your baby might be used to eating the kinds of food that the rest of the family eats. For breakfast, you can serve muesli or porridge with milk. You may also add fresh fruits to yogurt. Cream cheese goes well with toasted whole meal toast. For lunch and dinner, you may now serve your baby as much as 50g of meat that is chopped into small pieces. Just mix them with vegetables. Pasta, so long as it can be easily chewed, is a good alternative to rice. If you would like to offer your baby snacks, freshly cut fruits and vegetables, cheese cubes, and muffins with fruit filling are good choices. 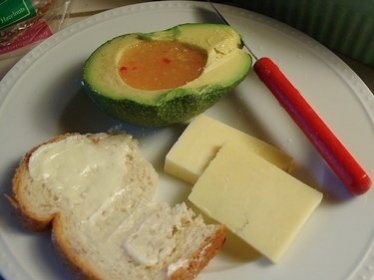 You can come up with different meals for your baby that taste delicious and are healthy. Just look around your kitchen and be creative. Next articleIt’s A Bird, It’s A Plane, No, It’s Supermom! It is proper foods for children to grow up with a healthy body.